Access information on the most popular dive destinations and dive sites around Bali, Nusa Penida and Nusa Lembongan! 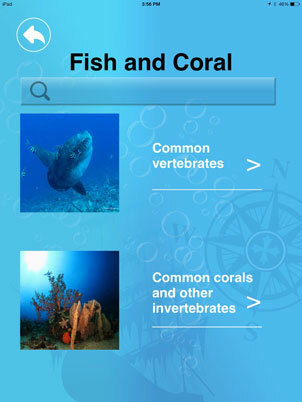 Search our dive sites, common fish and coral libraries. 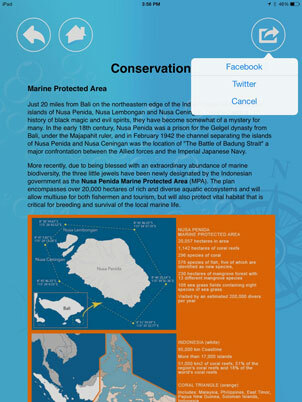 Bali Dive Guide by DIVEmApps is a diver's best friend! It's easy to use, great for dive planning and/or conducting briefings! 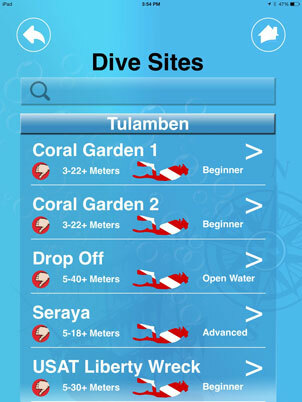 This app is made by divers for divers! "Educational with a focus on conservation and safety." 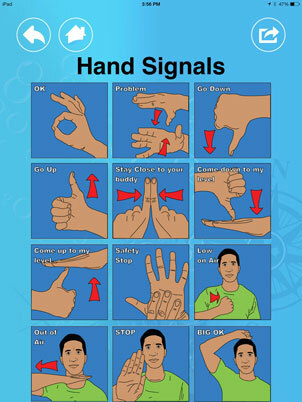 An amazing, easy to use guide created by divers for divers! This is the ultimate pre dive tool for dive guides, instructors, and any dive enthusiasts looking to augment their dive planning experience. 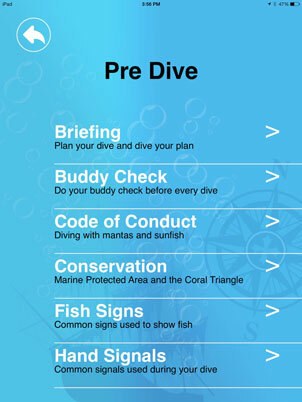 Pre Dive information; Briefing, buddy check, signal reviews, conservation, code of conduct, and more. 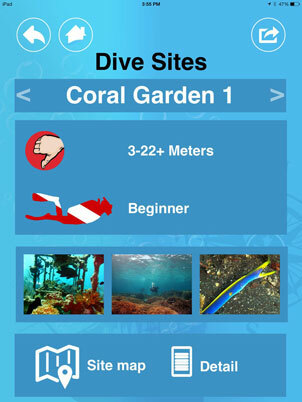 The App will be available for FREE with an “in App” purchase option to unlock the “Dive sites” and the “Fish and Coral” sections. The FREE versions will give you access to the “About Bali”, the “Pre dive”, the “Emergency Action Plan” and the “Info” sections, you will also be able to view 2 sample dives sites, fish and coral. To unlock the other 2 sections, you will be prompt to pay via iTunes/Google Play stores. ** We aim to update our DIVEmApps from time to time, to add new dive site maps, additional fish & coral or updating our information. For more information about our Apps, please contact us! Sandra Demonti, Minni Vangsgaard, Cody McDonald, Helen Mitchell & Peter Basset from Aquatic Alliance, Andreas Muljadi from the Coral Triangle Centre, Ian Collins and Mieneke Collins. Without your support this project would not have been possible. Thank you for purchasing this DIVEmApps, we appreciate your support! 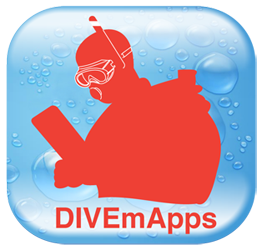 DIVEmApps is distributed through iTunes. Please help us spread the word and promote this awesome Dive Guide. 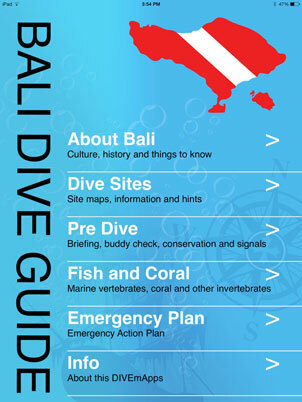 Please feel free to contact us: info@balidiveguide.com to get a copy of our marketing kit. Remember Bali and Indonesia is part of the coral triangle, a fragile ecosystem. We need to work together to maintain this paradise sustainable for future generations. Please maintain good buoyancy and DO NOT TOUCH the reef and aquatic life. Reuse, Reduce, Recycle Be mindful about using plastic products! Plan your dive and Dive your plan! The information provided in this DIVEmApps does not represent a substitute for professional training. We take no responsibilities, nor are we liable for how you use the content of this guide, or if the information provided is outdated. BALI DIVE GUIDE by DIVEmApps	by DIVEmApps.